It goes without saying. Our dogs are more than just our pets. They’re part of the family. But do you really know when your dog is in pain? They can’t always tell you what’s hurting or how badly. Even seasoned veterinarians find assessing many types of pain a real challenge. Fact is orthopedic injury and joint problems can stifle your dog’s happiness and potentially lead to years of chronic pain. Industry research shows that one in five dogs suffer from some form of arthritis. That’s over 15 million in the U.S. alone, and that does not even include the annual orthopedic surgeries of which 80% are ACL tears. Yet the problem really lies in the fact that pet owners feel they are not given enough information or tools to ensure their pups return to peak health. Thankfully, that’s where we come in, Topdog Canine Rehabilitation & Fitness, or simply TopDog Health. More than a decade ago, Dr. James St. Clair opened the first TopDog Canine Rehabilitation & Fitness facility in Hamden, Connecticut. In addition to treating animals, he surveyed hundreds of dog owners in his practice and learned that they just weren’t getting instructions on how to best care for their dogs after surgery. Fast forward to today. We’ve helped over 50,000 dogs recover from orthopedic injuries through our free rehabilitation guides, in addition to developing superior support products for dogs who need them, like the SupportRx and T.U.S.H. 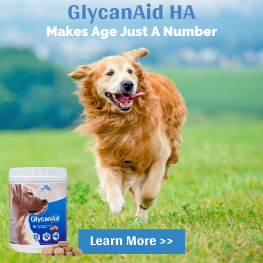 support harnesses and some of the world’s best natural joint supplements, specifically GlycanAid® HA advanced and Flexerna Omega®. Dr. James St. Clair even authored a number one Amazon best-selling book called Dogs Don’t Cry to help pet owners improve how they interpret and identify their dog’s pain. As a company of dog lovers, TopDog Health has a mission to help dogs get better, feel better, and stay better. We want your dog to live the life you know it deserves, which is why we provide all of our information and content to you absolutely free. Listen to other pet owners just like you and see what they have to say about our company. And believe it or not, every one of our products has a 100% tail-wagging guarantee. If you and your pup don’t absolutely love it, you can request your money back, no questions asked. Why do we do this? 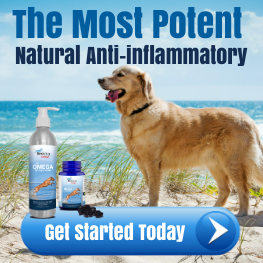 Because we are 100% confident in our products, and we are 100% committed to your dog’s success. 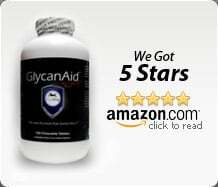 Whether you are trying to gather information on how to help your dog recover after surgery, utilizing our free home recovery guides, or you are seeking ways to help your aging arthritic dog, reach out to Topdog Health because we want them happy and healthy just as much as you do. 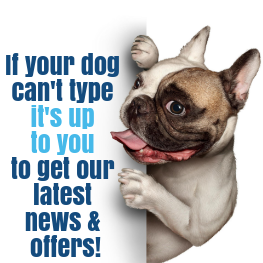 Email info@topdoghealth.com or reach us by phone at 1-888-504-2220 and help your dog live life to the fullest.